Join us on September 21 at 8pm for our first performance of the season at UNC Chapel Hill. We'll be kicking off our two year residency at Carolina Performing Arts by presenting an evening of our signature urban art pop sound. The program will also feature a preview of Discourse, Flutronix’s latest project commissioned by Carolina Performing Arts, which uses artistic initiative as an impetus to engage communities in conversation with one another and ignite social change. This work, including partnerships with community leaders and Reveal News, will culminate in an evening-length performance project premiering in the 2019-20 season. Flutronix will be joined by our acclaimed drummer and Queens, NY native Joe Blaxx, known for his work with iconic artists including Stevie Wonder, R&B sensation Bilal, legendary hip-hop producer Ski Beatz, and jazz trumpeter Maurice Brown. The Resonant Bodies Festival showcases “today’s most talented singers… seamlessly blend[ing] classical, avant-garde and indie-folk” (Feast of Music). 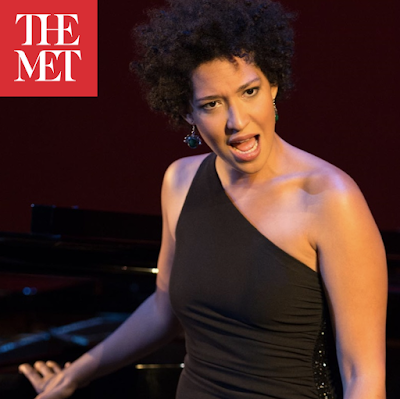 This Wednesday, September 12 at 7:30pm, Nathalie Joachim joins Pulitzer Prize winning composer/vocalist Caroline Shaw and multilingual vocalist/composer Jen Shyu for the second night of the New York festival. Nathalie will present solo excerpts and arrangements from her Liquid Music Series commissioned work, Fanm d’Ayiti (Women of Haiti). On Saturday, September 15 at 7pm, famed soprano Julia Bullock will present the world premiere performance of Mama's Little Precious Thing by Allison Loggins-Hull as part of Bullock's MetLiveArts Artist Residency. Commissioned by The Metropolitan Museum of Art, the piece for soprano and string ensemble will be featured on a program including works by Tania León, Courtney Bryan, and Jessie Montgomery.